That was in the good old days,just like yesterday. 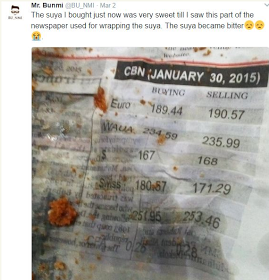 the newspaper used to wrap his suya. 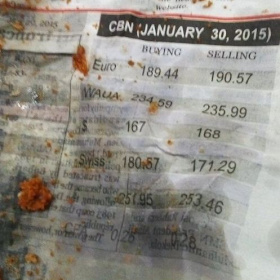 0 Response to "Good Old Days: See How Much Naira And Dollar Exchanged For, As At Early 2015"